Are you looking for a change? 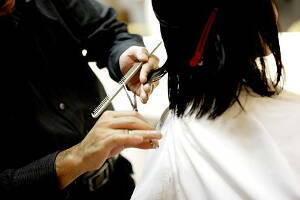 Do you need to find a good hairdresser in Mandurah? If you care also about hair style, you should get to know the best hair salons in Mandurah in addition to some tips to know when choosing a hair studio. Hair style taste is very personal and sometimes it is hard to find the right style that better fits our face features. This is why is important choose the right hair stylist to trust him our hair and a good hair salon in Mandurah. The website: Nowadays, most of the hairdressers in Mandurah have website and social media where they share pictures of their work and the best haircuts they’ve done. Visit their sites and check it out so you can get a first impression. Think of others beauty treatments you would like to get and ask if they offer it too. Plenty of hair salons in Mandurah also practice other beauty therapy treatments like pedicure and manicure. Infoisinfo has prepared an interesting list for you to find the best hairdressers near you in Mandurah. As we said, it is important to have references. That is why you will also find valorations and comments from others in our website. If you find it useful, you can share your experince and help others. Shop 2, 45, Tce, Mandurah. Mandurah. WA, 6210. 35 Hudson Drv Mariners Cove,Dudley Park, WA, 6210, Dudley Park. Mandurah. WA. Centro, 330 Pinjarra Rd, Mandurah. Mandurah. WA, 6210. Shop 2, The Piazza, 4 Port Quay, Wannanup. Mandurah. WA, 6210. Silver Sands Shopng Cntr,Mandurah, WA, 6210, Mandurah. Mandurah. WA. Shop 1B Miami Village ShopngCntr Old Coast Rd, Falcon, WA, 6210, Falcon. Mandurah. WA. Shop 10 Grove Shopping Centre,Falcon, WA, 6210, Falcon. Mandurah. WA. U2 Shoping Centre CrnMississippi & Murdoch Drives, Greenfields, WA, 6210, Greenfields. Mandurah. WA. 15 Tanjinn St, Dawesville, WA,6211, Dawesville. Mandurah. WA. 2/7 Kulin Way, Mandurah, WA,6210, Mandurah. Mandurah. WA. 1-55 Murdoch Drv, Mandurah, WA,6210, Mandurah. Mandurah. WA. Suite 3 3 Dower St, Mandurah,WA, 6210, Mandurah. Mandurah. WA. Shp 1b Miami Village Shopng CntrOld Coast Rd, Falcon, WA, 6210, Falcon. Mandurah. WA. Shp 2/ 93 Pinjarra Rd, Mandurah,WA, 6210, Mandurah. Mandurah. WA. Shop 9 Sutton Sq, Mandurah, WA,6210, Mandurah. Mandurah. WA. Shop 9 Halls Head Central GuavaSt, Halls Head, WA, 6210, Halls Head. Mandurah. WA. 1 Hooghly St, Madora Bay, WA,6210, Madora Bay. Mandurah. WA. 3/11-13 Pinjarra Rd, Mandurah,WA, 6210, Mandurah. Mandurah. WA. Shop 3 318 Pinjarra Rd,Mandurah, WA, 6210, Mandurah. Mandurah. WA. 45 Mandurah Tce, Mandurah, WA,6210, Mandurah. Mandurah. WA. Shop 2 The Piazza Port QuaysPort Bouvard, Bouvard, WA, 6210, Bouvard. Mandurah. WA. Shp 3, 4 Guava Way, Halls Head,WA, 6210, Halls Head. Mandurah. WA. 59 Peel St, Mandurah, WA,6210, Mandurah. Mandurah. WA. Shop 9, Sutton Square, SuttonSt, Mandurah, WA, 6210, Mandurah. Mandurah. WA.